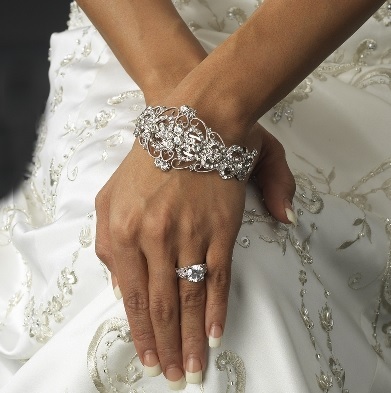 You'll love our extensive collection of bracelets and cuffs for your special day! Affordable Elegance Bridal has hundreds of bracelet styles for the bride, her bridesmaids, the mother of the bride or groom, quinceanera, pageant and prom. We have a wide selection of styles in silver, rhodium, gold and rose gold with pearl, rhinestone and cz elements. Whether you are looking for a bold rhinestone cuff, a delicate pearl vine design, or anything in between, you will find it here. Need help finding the right accessories to complement your gown? Just contact us and we'll be happy to help!